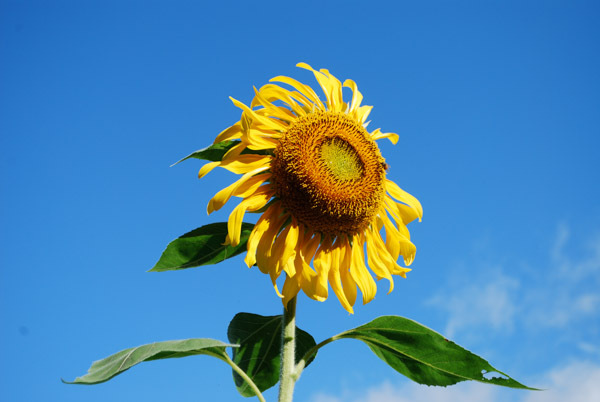 When Isabella was in preschool, we read a book called Sunflower House by Eve Bunting. 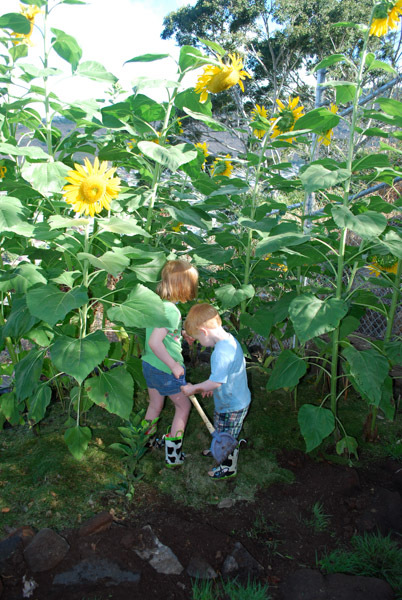 It told of sunflower seeds being sown in a big circle to create a “room” in the garden for children’s imaginary play. We decided to grow our own. 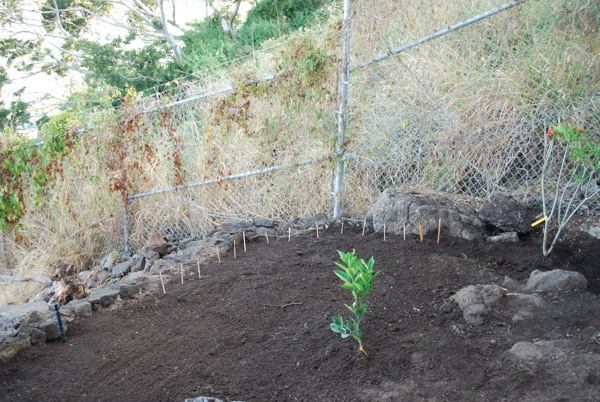 Since our garden was relatively new, we had a big area to create a play space. 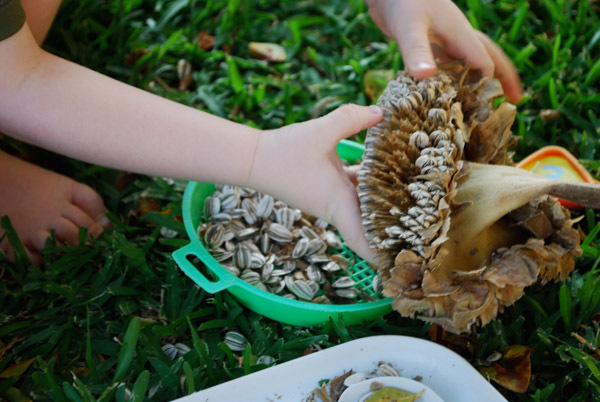 Isabella planted the seeds before we took off for the mainland for the summer. We chose sunflower seeds from Home Depot with names like Giant, Mammoth and Skyscraper. The sun, new soil, and sprinkling system did the rest. When we got back, the flowers were huge! We had created a long, rectangular room for the kids to hide in. Once the sunflowers bloomed and started to wilt, we decided to keep them up to dry in the sun. We left most of them up for the cardinals, who loved the seeds. 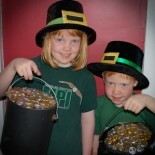 We took a few down to harvest for ourselves. 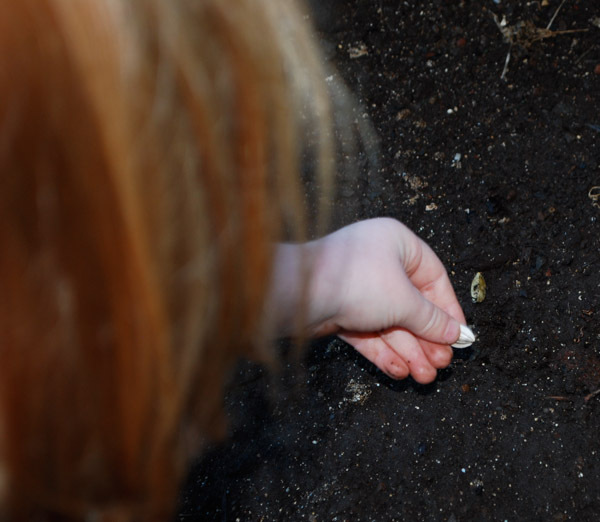 We kept some seeds for the next patch of flowers. The rest we roasted and shared with Isabella’s preschool class. 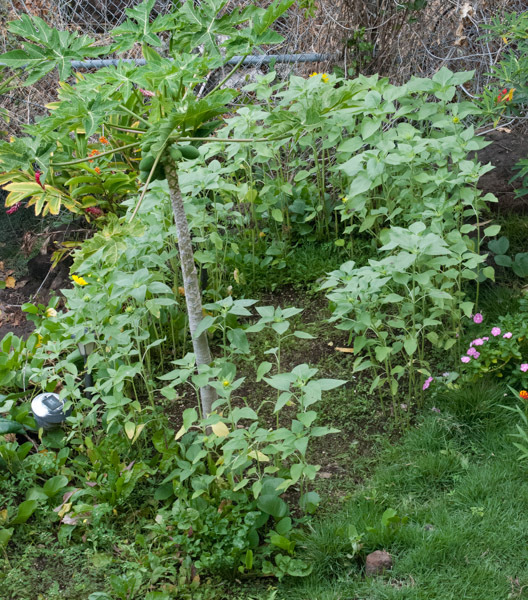 Our garden is full now, but I cleared a small space for a new sunflower house, about eight feet in diameter. We planted the seeds in a circle, about a month ago. 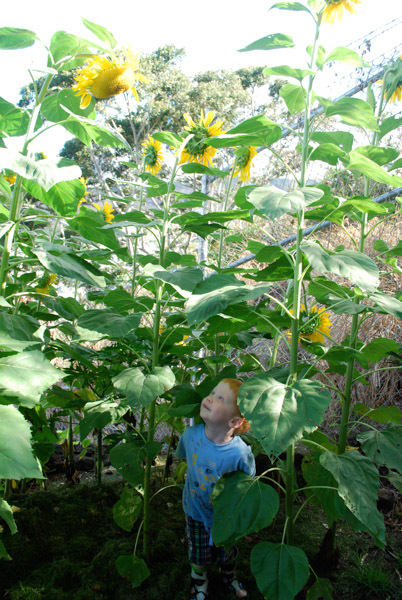 The sunflowers are currently about two feet high now and should be bigger than the kids in another month. 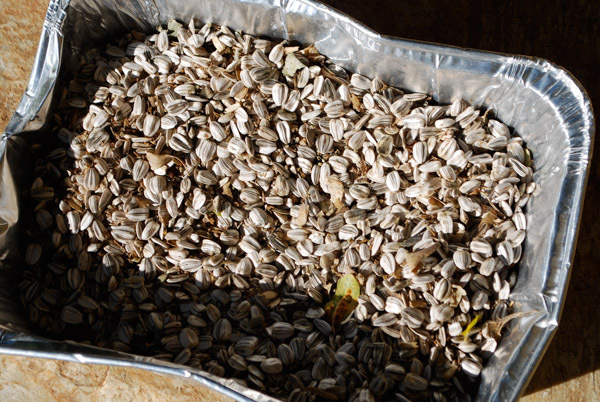 When this batch of sunflowers wilt, we do the same as before with the seeds. 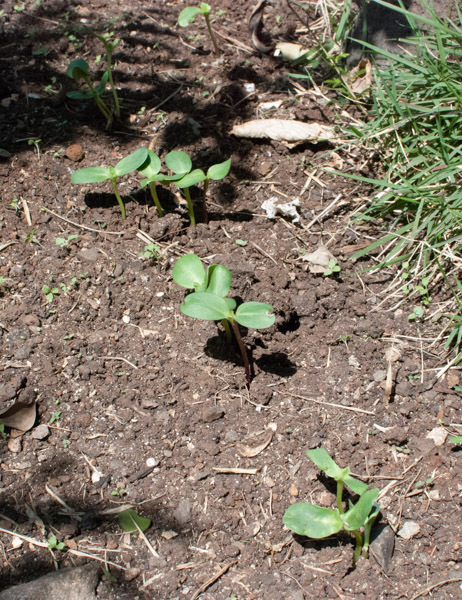 This time we will plant some pole beans and sugar snap peas near the base of the sunflower stalks. These plants need something to climb. That means in the fall the stalks will provide the structure for another type of house – the beanpole house! 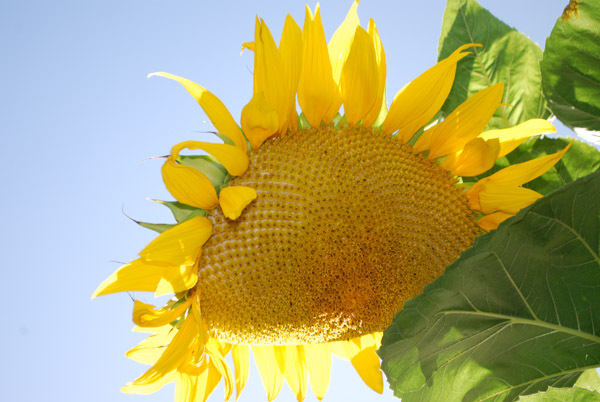 Unlike many other flowers, sunflowers make a central tap root that likes to grow straight down in the ground. Therefore do not plant the seeds in a pot and transplant them. Plant them directly in the ground. Space the plants about a foot apart if you want them to grow really tall. They need to be free from competition from one another. Weed often. Sunflowers need lots of water! 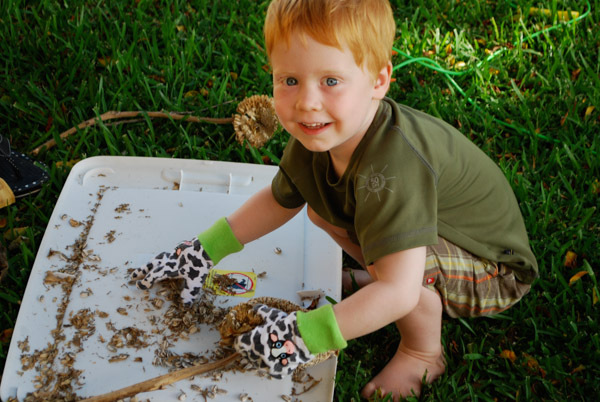 This entry was posted on May 2, 2013 by mdaucello in Family Fun, Il Gardino, Our Garden.